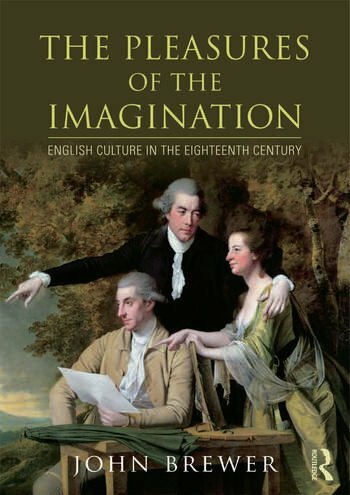 The Pleasures of the Imagination examines the birth and development of English "high culture" in the eighteenth century. It charts the growth of a literary and artistic world fostered by publishers, theatrical and musical impresarios, picture dealers and auctioneers, and presented to th public in coffee-houses, concert halls, libraries, theatres and pleasure gardens. In 1660, there were few professional authors, musicians and painters, no public concert series, galleries, newspaper critics or reviews. By the dawn of the nineteenth century they were all aprt of the cultural life of the nation. John Brewer's enthralling book explains how this happened and recreates the world in which the great works of English eighteenth-century art were made. Its purpose is to show how literature, painting, music and the theatre were communicated to a public increasingly avid for them. It explores the alleys and garrets of Grub Street, rummages the shelves of bookshops and libraries, peers through printsellers' shop windows and into artists' studios, and slips behind the scenes at Drury Lane and Covent Garden. It takes us out of Gay and Boswell's London to visit the debating clubs, poetry circles, ballrooms, concert halls, music festivals, theatres and assemblies that made the culture of English provincial towns, and shows us how the national landscape became one of Britain's greatest cultural treasures. It reveals to us a picture of English artistic and literary life in the eighteenth century less familiar, but more suprising, more various and more convincing than any we have seen before. Preface. Introduction. Part 1. Contexts Part 2. Print Part 3. Paint Part 4. Performance Part 6. Province and Nation Part 7. Britain. Conclusion. Bibliography. Sources of Illustration. Index.